Discussion in 'UFOs, Aliens, Monsters, and the Paranormal' started by Mick West, Feb 25, 2015. 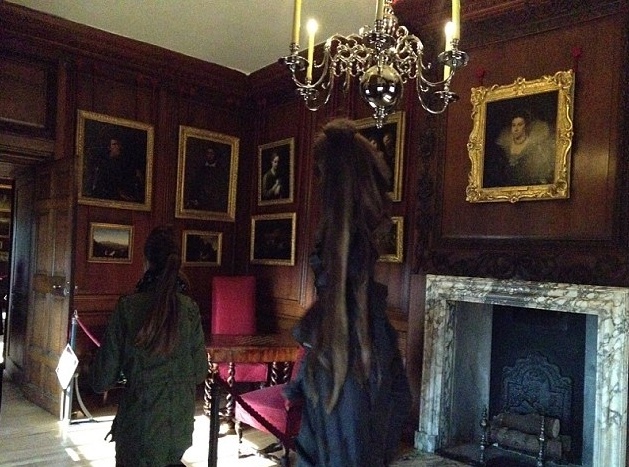 This photo is doing the rounds as a "ghost" photo, largely because it was taken in Hampton Court, a historic English house with a reputation for hauntings. 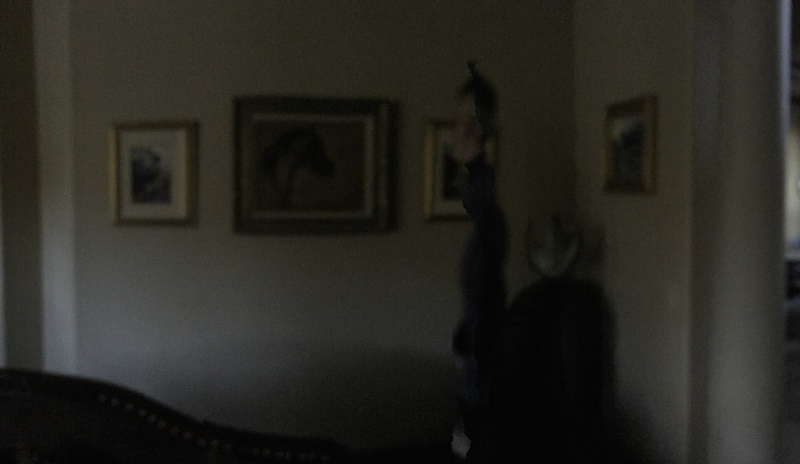 However it's just the result of taking a panoramic photo in low light on the iPhone. 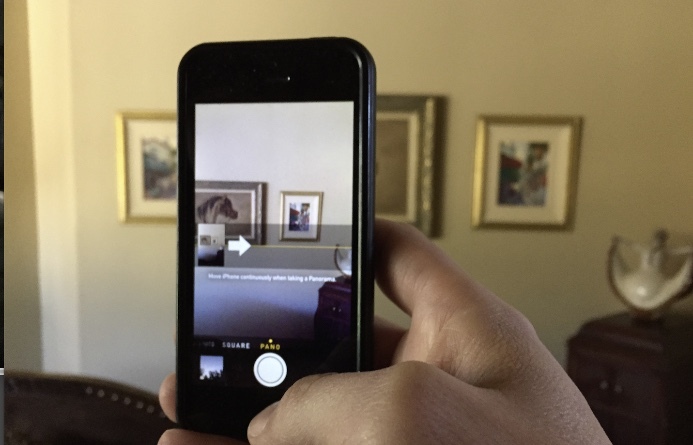 Panoramic photos are done by holding the camera up, and panning from left to right. The camera takes lots of photos and then stitches them together into a single image. But because it takes a while to take all the images, if something moves while you are taking the panorama, then it will get distorted. 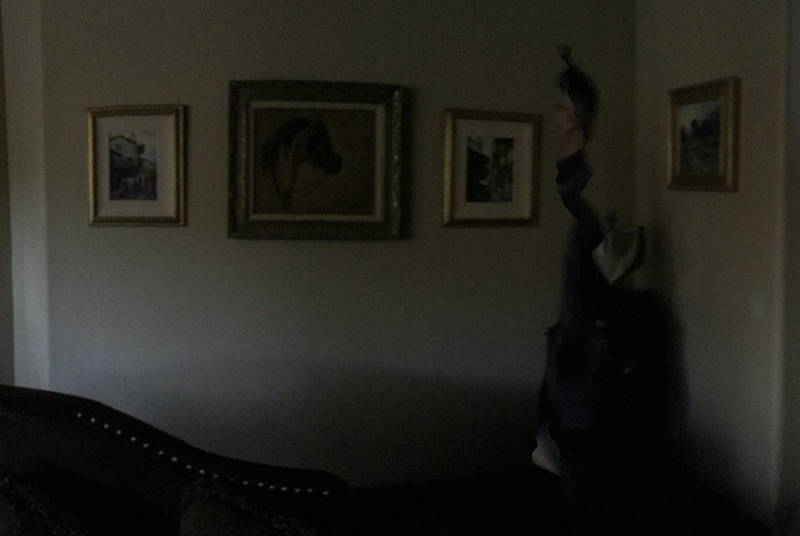 This can happen in any situation, but it's worse in low light, as it takes the camera longer to take all the photos, so you end up with fewer photos to stitch together, increasing the likelihood of errors. 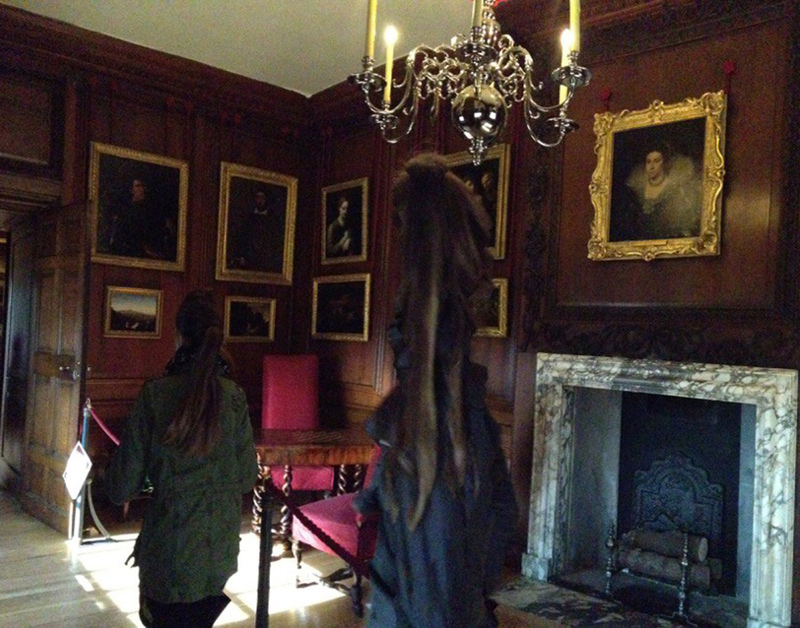 And here's the same scene with me walking past the paintings while a panorama photo is taken. Compare with the regular photo above, notice I'm super thin and half my face is missing. In some of these I'm highly distorted. 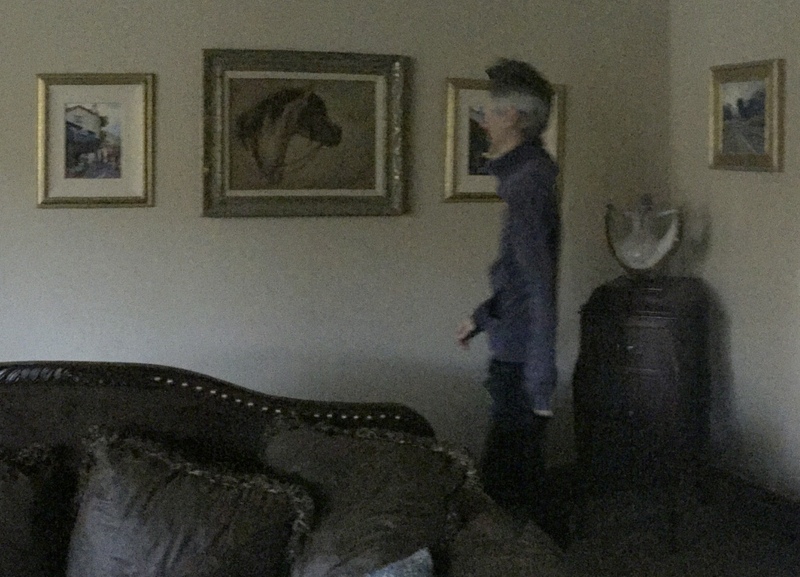 We can tell the photo is a panorama because of several things things, the aspect ration of the second photo (it's very wide), the curve apparent in the walls and paintings, and the fact that the field of view is over 90 degrees. This is most apparent in the second photo. 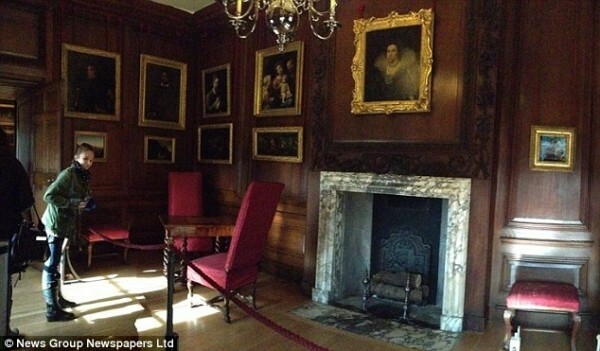 Look at the doorway on the left, and the small painting and chair off the the right. You can only get them in shot like this in a panoramic photo. Also notice the figure on the left of this second photo. Likely the first photo was spoilt by this person walking in front of the camera, so they took another photo. Only later they saw the interesting effect of the person walking through the panorama, and decided, perhaps as a joke, to pass it off as a "ghost". While you can get this effect more in darker settings, it also happens all the time in bright sunlight. The effect is very varied, and it's difficult to duplicate any one effect closely. Here's six shots in a row of the same thing, all very different. Notice the hair is very similar. 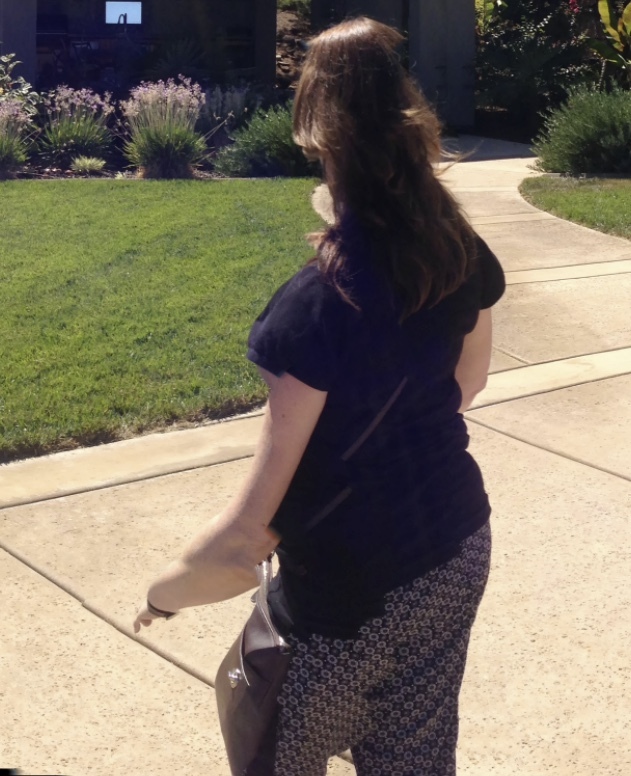 The woman is walking to the left, so you get the same kind of weird tall skinny head of hair, but her arm is swinging back the other way, so is elongated. 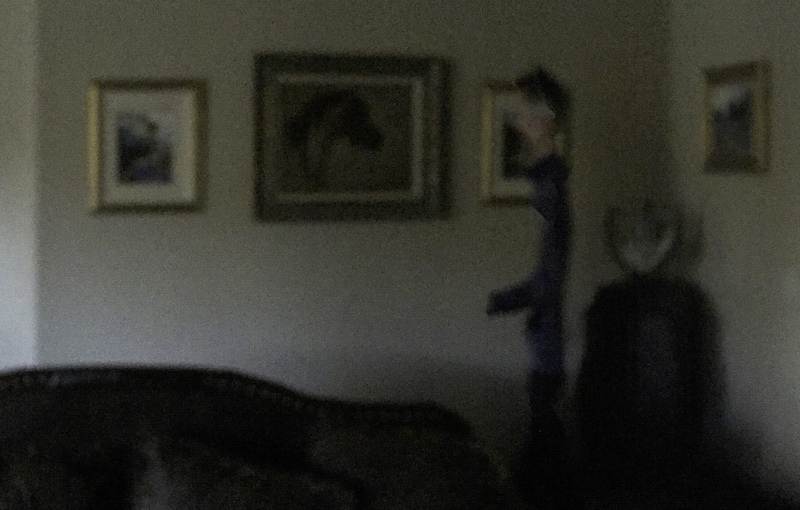 There's also the suggestion this must be a ghost because you can see the rope though it, or that the figure is actually behind the rope. However that's just an illusion caused by the use of small low quality images. 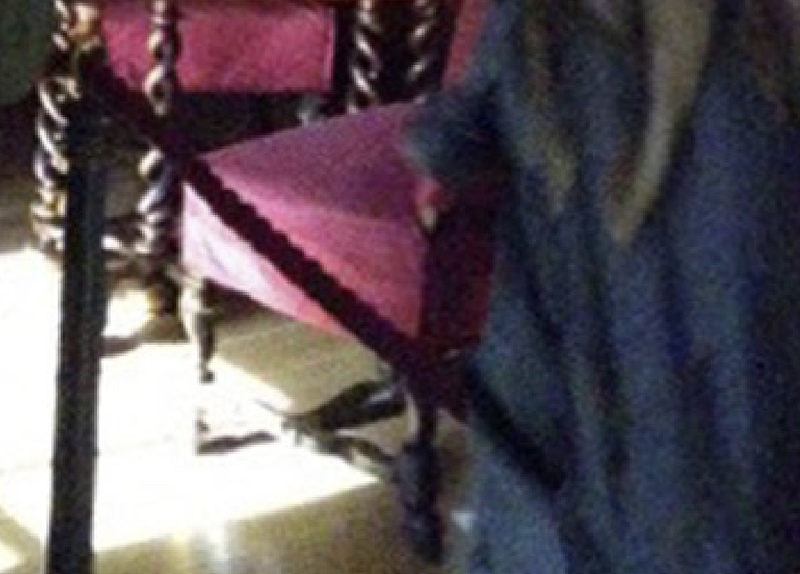 A closer look reveals that the rope does go behind the figure, and the dark line is something on the coat, like a pocket flap. It was also suggested (by Joe Nickell of Skeptical Inquirer) that this was someone in period dress. This comes from the misconception that it's a tall figure with a long flowing cape or dress. Really it's just a raincoat, and the figure is only seen from the waist up - it's the distortion that makes it seem tall. 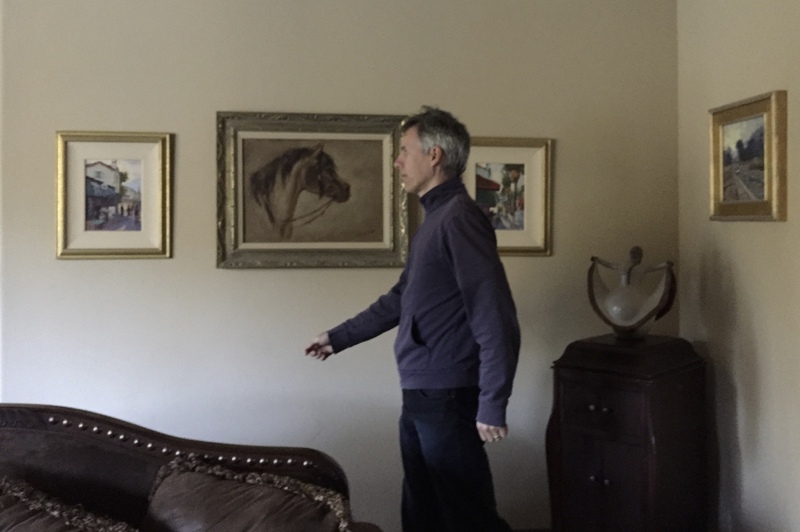 Note the perspective can't be traced like in a normal image, because it's a panorama, the lines towards the vanishing point are curved, and vary across the image. Is this why sometimes you see strange pictures on Google street view? 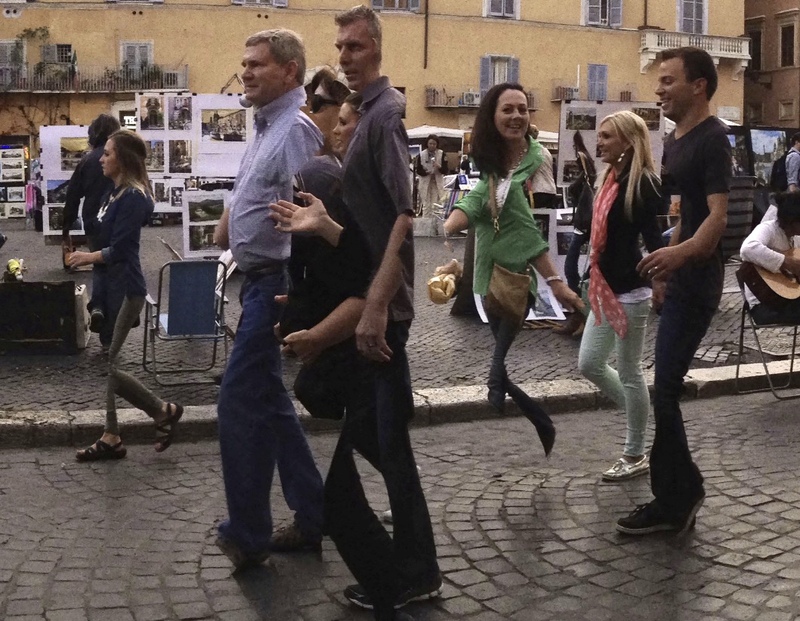 I mention this because I was looking at some street view today, and noticed that in some shots, there were people with half their bodies missing..and it wasn't because the image didn't load right. The Google car and Google backpack people have a 360 degree camera that takes like a panoramic view and everything, so it would make sense. Same principal yes. But with street view, you also have the car moving while the pics are being taken, which I'm sure can add to the effect at times. 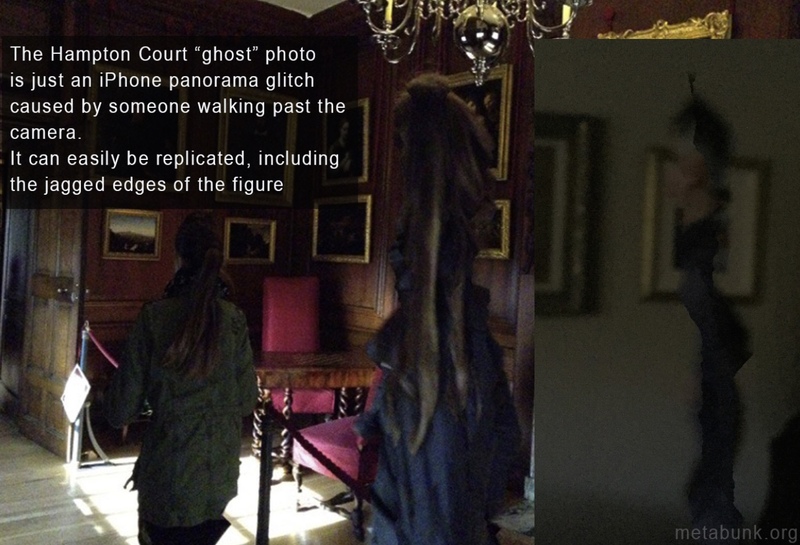 More importantly, that is a very, very tall ghost, and everyone knows that people in the old days were really short.